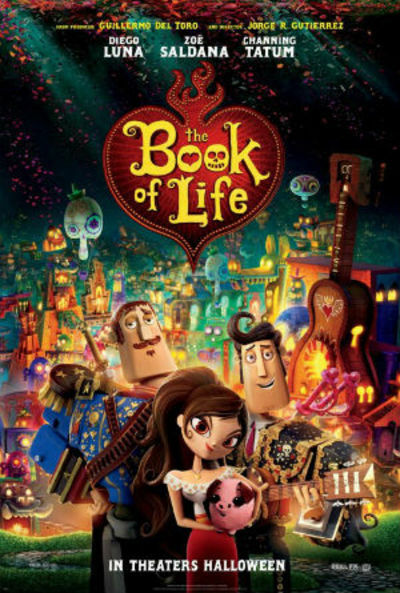 The Book of Life is a film based on the Mexican Day of the Dead festival, and has a unique look about it. Does the style appeal to you? I dig it, it's unique and reminds me of a less creepy version of Tim Burton's The Nightmare before Christmas. I don't know about it however it is one that is obviously due at the end of this next month, however it is not one I would go and see. I don't particularly like many of the animation movies. While I think the animation does lend itself to depicting the atmosphere and characters, I don't like the style. To me it feels unnatural, wooden, and a bit puppet like. I haven't seen it, but I like it. A lot. Have you seen Before I go to Sleep?